Surf Lessons with Warm Winds: It’s never too late to learn how to surf! Whether you’ve previously taken lessons or never tried surfing before, you’ll be out there shredding with best of them in no time! Yoga at All That Matters: All That Matters Yoga and Holistic Health Center offers an extensive listing of weekly yoga and meditation classes, plus workshops and professional trainings. Plus, they offer yoga on the beach through Labor Day! 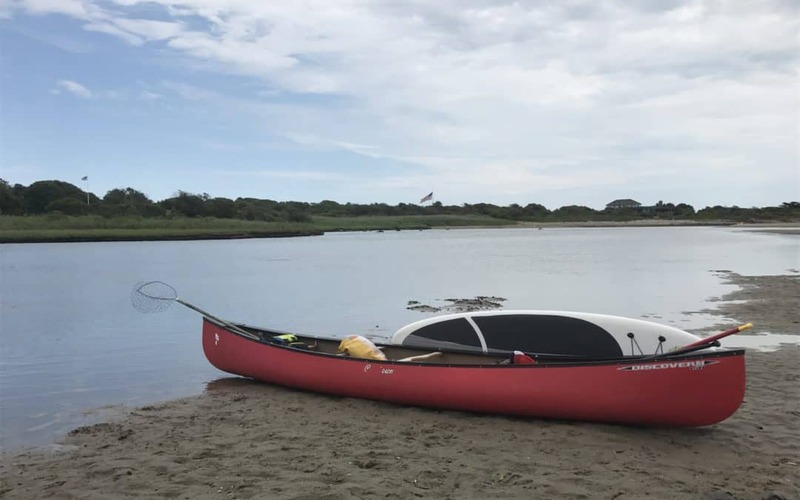 Spend a Day in Block Island: Whether you enjoy a laid-back beach day, a vigorous bike ride, an adventure in a kayak or a paddleboard lesson, this little nearby island is worth exploring. The Block Island Ferry is located 2 miles from the Break! Kayak on the Narrow River: Rent a kayak or choose one of the many fantastic options for guided outings with an experienced master naturalist guide or ACA (American Canoe Association) certified instructor. Whale Watching on the Frances Fleet:The warm ocean waters at this time of year attract majestic Finback Whales, Humpbacks, Minke, Pilot, False Killer, and even Sei whales! Ballroom Dance Lessons at The Towers: Every Wednesday enjoy an evening of dancing in one of RI’s most speculator venues (every Wednesday night). No experience or partner necessary and lessons change regularly! RI Lighthouse Cruises & Newport Harbor Tours with RI Bay Cruises: Narrated Sightseeing Cruises viewing 10 Lighthouses, 10 islands, sail under the Jamestown & Newport Bridges and through beautiful Newport Harbor. Enjoy a Tasting at Sons of Liberty: Experience a whiskey or beer flight at this nearby distillery. They’re leading the rebirth of American Whiskey by challenging century old traditions! Guided tours are giving on Saturdays! Food Trucks & Movie at Narragansett Beach: Experience a movie like you never have before – with the sand in your toes! Movies begin at dusk and food trucks are open from 6:00 – 10:00pm. August 9 – Free Willy and August 16 – Jaws.